THEY improv provides improv comedy, game shows and murder mystery dinners for entertainment options and activities such as scavenger hunts, mini-Olympiads, audience Olympiads and mental challenges for a variety of groups anywhere in the Arabian Peninsula looking for new approaches to bringing employees together and fostering a sense of teamwork. Creating trust and success within your organization requires teamwork. 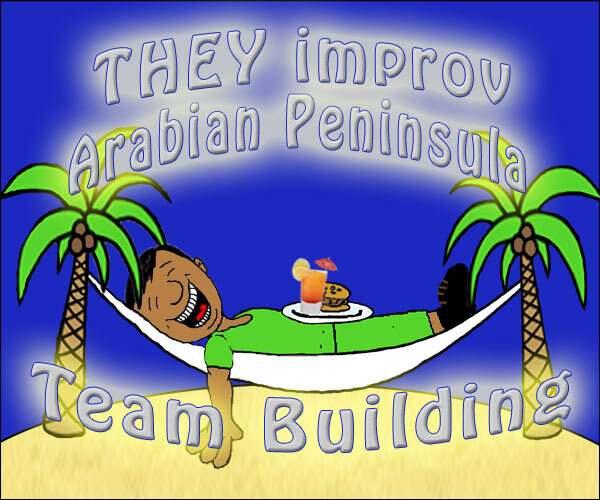 Arabian Peninsula corporate team building workshops provided by THEY improv are enjoyable experiences for all. When people have fun, they are more receptive to information and more likely to actively participate. Let's be honest, team building has a bad reputation among many employees headed to the Arabian Peninsula. They're thinking more about fun and aren't as interested in participating in work events. After all, most employees think of team building as listening to a hippie in Birkenstocks talk about auras and energy. The reality of the experience is much different and a lot more entertaining. In fact, we try to get people to not even know that the activity is for team building. We can even perform workshops on the beach! Our workshops combine elements from three approaches. First is the group mind development. Group mind development helps to get everyone on the same page. It doesn't mean that we create a mindset where everyone is the same, it is where everyone is simply able to see where everyone is and to take their needs into consideration. Second is improvisation. This assists people to think on their feet and to help them to be prepared to adjust to changing circumstances. Of course, this is all done in a relaxed environment and we cover such things as fight or flight response and other impediments to clear throughout. Third is skills development. This includes additional exercises that work on leadership skills, presentation skills, salesmanship and emotional intelligence. Most are some combination of those three approaches. We consult with you about your needs and determine the appropriate mix for your employees. This assures that you get the best program to help you achieve your success. 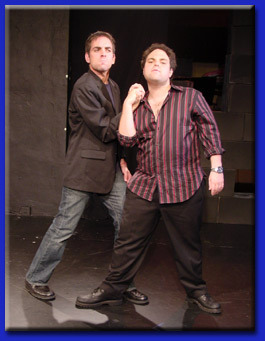 THEY improv professionals come from the business world. Our Arabian Peninsula corporate team building workshops are designed with the true goals in mind. So what are these goals that have to be achieved for successful team building? 1) Mutual understanding: By understanding each other and knowing each others' goals and aspirations, everyone is in a better position to help each other and to motivate employees. 2) Group spirit: A group of individuals just isn't as effective as a group working together. 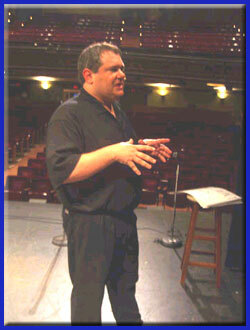 THEY improv works towards creating something of a unified spirit without losing their individuality. 3) Teamwork: Often organizations suffer from duplication of effort and micro-management. THEY improv assists teams to trust one another more completely. This takes the form of entrusting someone with tasks and then living up to that trust and accepting that responsibility. We also encourage checking work, but as a means to improve one-another instead of being a punishment or lack of trust. 4) Meetings and Incentives Awards: Setting goals for employees to motivate them to success is highly important. Having a way to show your appreciate their efforts while utilizing functions that are more acceptable as an expense is vital. THEY improv has a selection of programs that get people laughing and having a good time while bonding with fellow employees. What questions are the main questions facing management today that can help you decide to use a THEY improv Arabian Peninsula Team Building Workshop? Do you utilize a virtual work environment that doesn't know each other or work well together? Or do you have a newly formed group that needs to get to know each other? Do you have a new management staff? Do you have internal conflicts or turf wars among employees? Do you have morale concerns with your company, either due to slowing sales, market conditions or layoffs? Do you have a group slow to innovate to meet new conditions? Do you have a group needing a physical push to work together? Do you simply have a large group that hasn't learned to take advantage of the benefits of a larger organization?